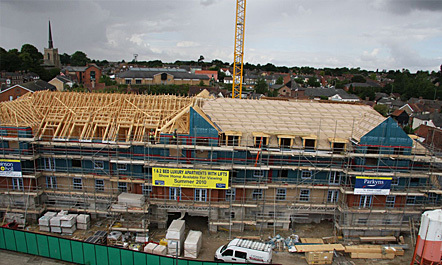 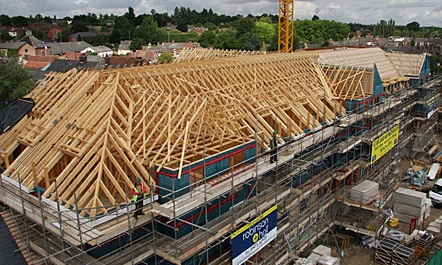 Three storey timberframe and trussed rafter roof were designed by WaVe Structural Design. 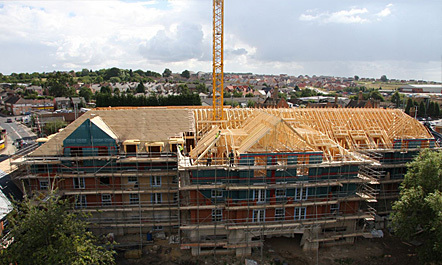 The building area of 1500m2 has been designed with emphasis on fire resistance separation in the kit and roof. 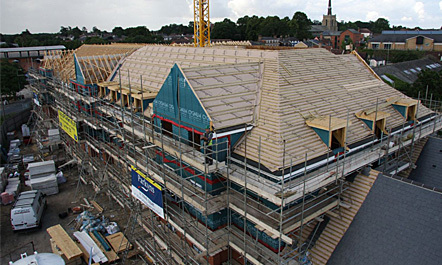 The roof includes monopitch, duopitch and special truss shapes in combination with glulams and truss girders. 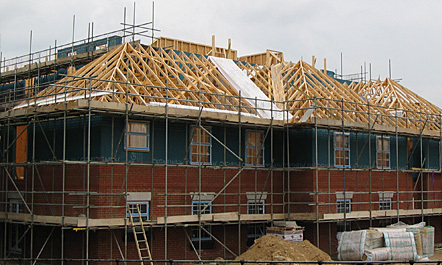 Special valley sets, girder trusses (to allow for fire separation) and lift shaft extended up into roof space have been designed with emphasis on final site cost (manufacture + erection). 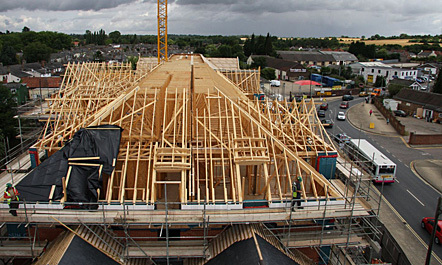 Structural design of timberframe and full roof with structural truss rafter design has been supplied for Cygnum Timber Frame Ltd., UK.